Sometimes you find simple is better and in the case of the Slatgrill, their description of Simple, Versatile, and Portable is accurate, but they may want to add in stronger as well. One of the items I was looking for was a decent sized portable charcoal or hardwood fired grill that would collapse down when not in use. Being the lazy man I am, I also wanted one I could just stick in the dishwasher after use. To be honest, I use a portable charcoal grill quite a bit as my local range is glorious, but way out in BFE. Typically I pack up my Weber JR to grill lunch however it is too bulky, heavy and about rusted out. As it seems I already fill the truck each range visit, a more compact and lighter storable option was also appealing. 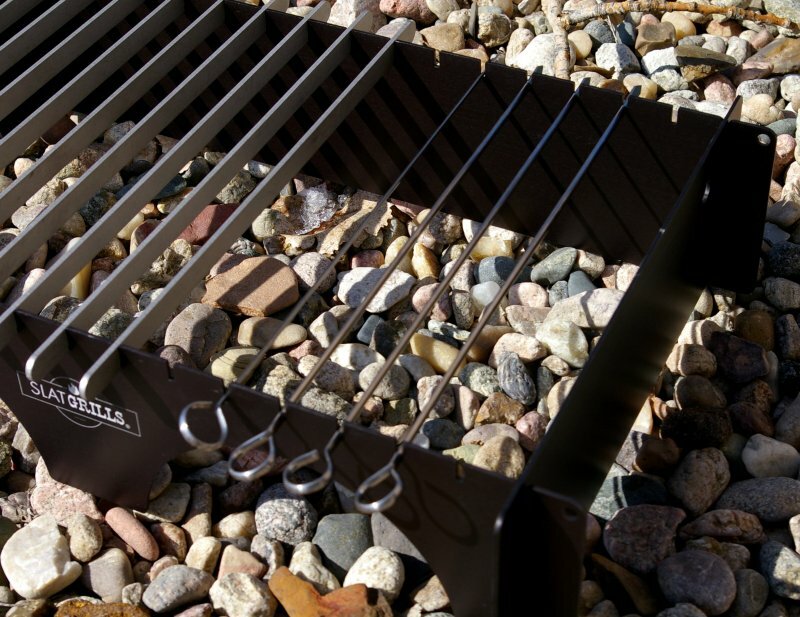 Enter the Slatgrill which is made just as it is named, from slats of anodized aluminum and stainless steel. 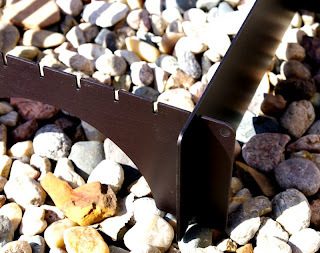 The hard anodized aluminum sides are light and very strong especially when keyed in with the ⅛” thick stainless grates/slates and in fact I could easily stand on the grill and I am right at 220lbs. Even if you have a huge steak, this will be stable throughout the cooking process, I can assure you. 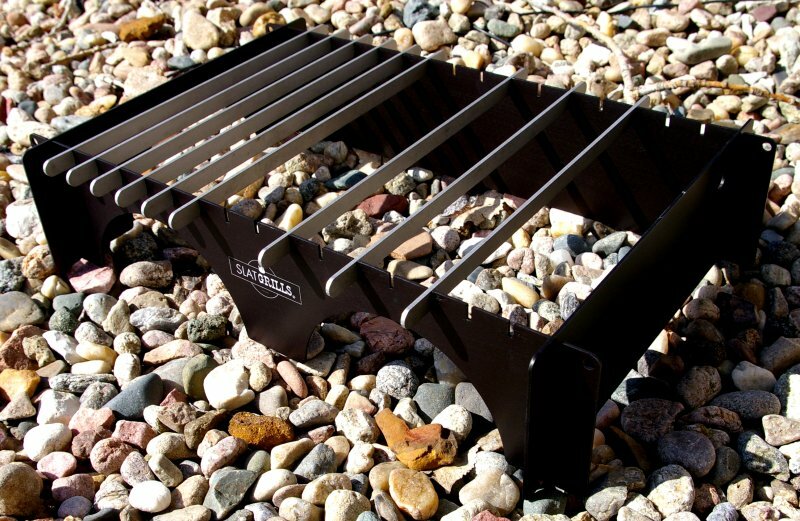 The kit comes complete with the sides and your choice of kits with 9, 12 or 15 top stainless grates/slats ranging in price from $109.99 to $127.99 depending on how many top slats you opt for. Every component is available seperately as a replacement item, so if you want to add slats later you can. I chose the standard 9 slot top which I have found is more than capable of cooking six large burgers at a time and 12-15 burgers per charcoal fill, however I can see that the extra slats would be handy to beef up cooking volumes. I do skewer and cook vegetation and animal-life quite a bit and I did pick up a set of Slatgrill’s accessory stainless skewers which fit nicely into the top slat slots. A nice feature about using the skewers is the skewers key into the top and prevent the skewers from spinning. Another accessory I added was a set of Slatgrill lifting chains just in case I need to move the grill around while cooking or on/off the fire. The lifting chains can also be used to suspend the grill over a fire as well. 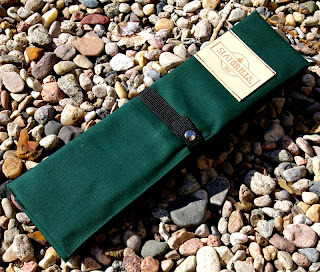 A nice touch is the Slatgril heavy canvas trifold case which has to be one of the most well-made heavy duty canvas snap closed cases I have seen. All grill parts including the accessory skewers and lifting chains all fit easily within the case and provided an easily transportable case. 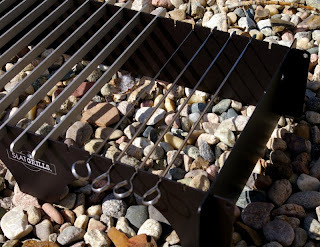 Top cooking slats can be somewhat cleaned by pulling them through the side slots, however I would recommend grabbing a trash bag or a couple zip lock bags to store the grill on its trip home and back into the dishwasher otherwise you will get that great case all gooey with burger and brat juice. A trip through the dishwasher makes for a clean enough grill, however as with any grill, a little Scotch Brite scrubbing on the top stainless grills, produces a nearly new looking grill. 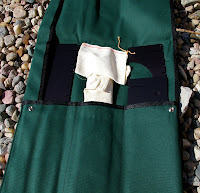 Setup is simple; remove the Slatgrill components from the canvas bag and key together the four grill sides and stainless grate/slats. It could not be simpler. 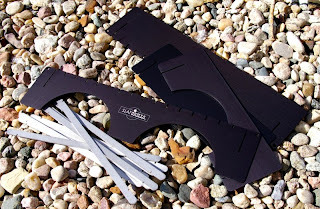 A simple, more compact, and lighter grill was my driving factor for picking up the Slatgrill, however what I have found is that this is one very versatile grill. 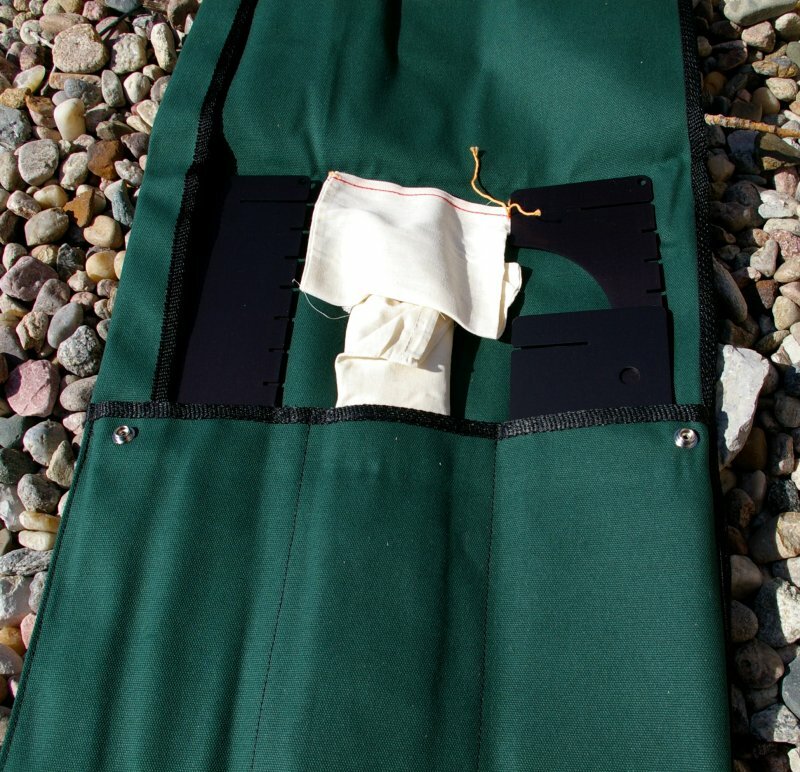 Part of that versatility is one open and one closed end and side panel each which provides flexibility to position the grill in or out of the wind as necessary. 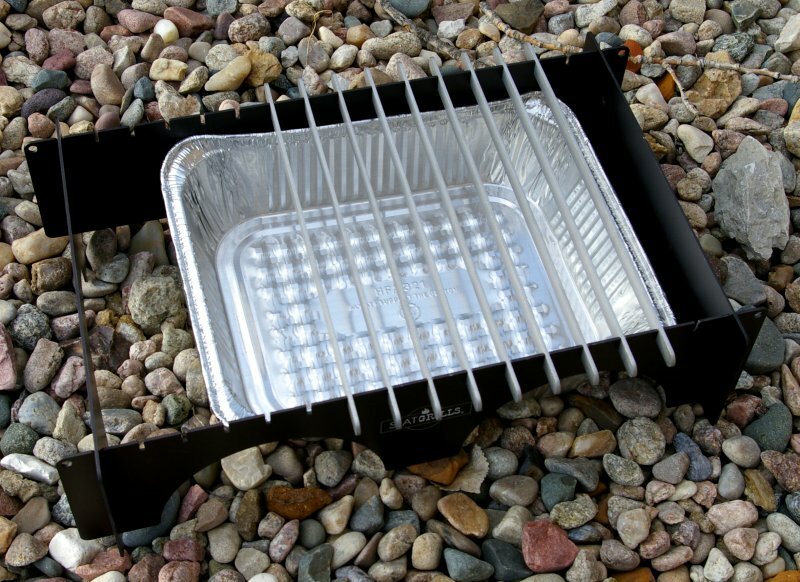 Not only can you use the grill over a hardwood or charcoal ground fire, but I have found that a standard disposable aluminum broiling pan works perfect to safely contain burning wood or charcoal. If you have a spare pan, you can use it as a lid and bake or steam food. A couple layers of aluminum foil also work well for either use. My wife recently used the Slatgrill over our gas range burners at home to char hot peppers for sauce and has also used it over the stove burners as a chafing dish warmer for large trays of food. 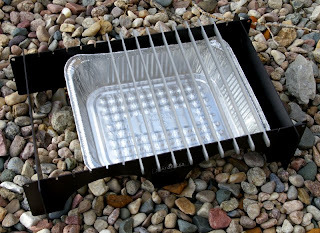 You will find that by pre-making little 4”x4” aluminum foil charcoal cups with enough paper for tender, you can grill a couple burgers or hot dogs on only 3-4 slats with very little fuel/charcoal. I have a couple of these little ready-to-grill packs in my car for range days or if I decide I can’t wait to grill that corn I just picked up at the farmer’s market. What can I say this is a really versatile grill whose use is only limited by your imagination. 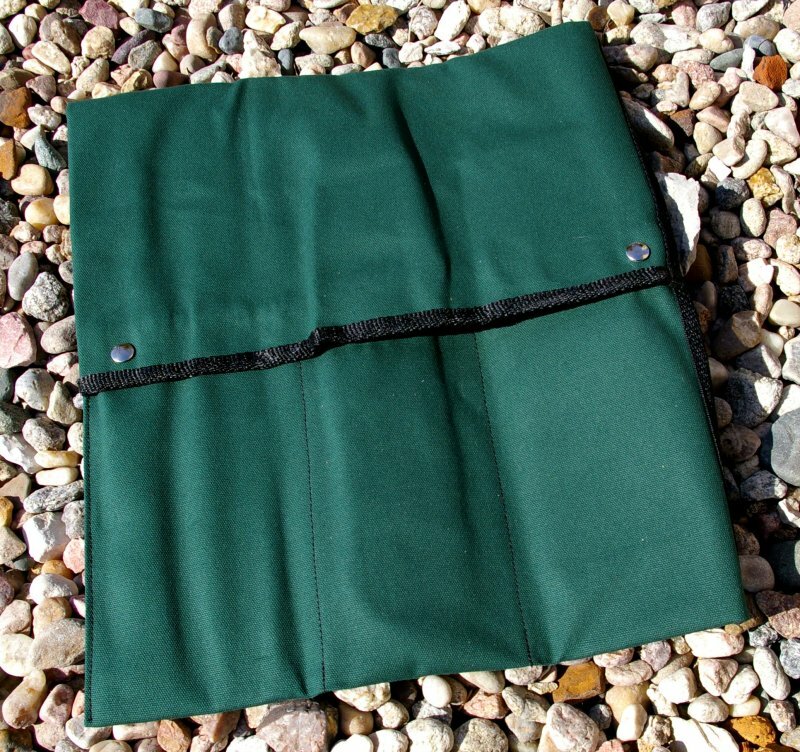 For the minimalist or the preparedness person this is a handy item to have in your car with a small bag of charcoal and some aluminum foil for the impromptu tailgating or lunch. It is also one of the coolest and most stylish looking little grills you can buy. There is nothing to rust or wear out, The best thing is that this grill is so simply made from heavy duty material that it will likely last through a lifetime of hard extensive use. I love items which are multi-use beyond being only for preparedness such as the Slatgrill. Sometimes simple is better and in this case quite a bit better than any other take down grill I have used.